The Parish Council provides the Dog Bins throughout the village and on the recreation grounds. They are situated on the Sports Field, on the corner of High Street and Main Road, on Wappenham Road, on the corner of Abbey Road and High Street and at the Pocket Park. 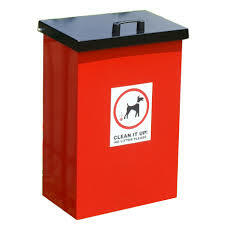 The Parish Council strongly urges all dog owners to clear up after your dog and to use the bins provided.